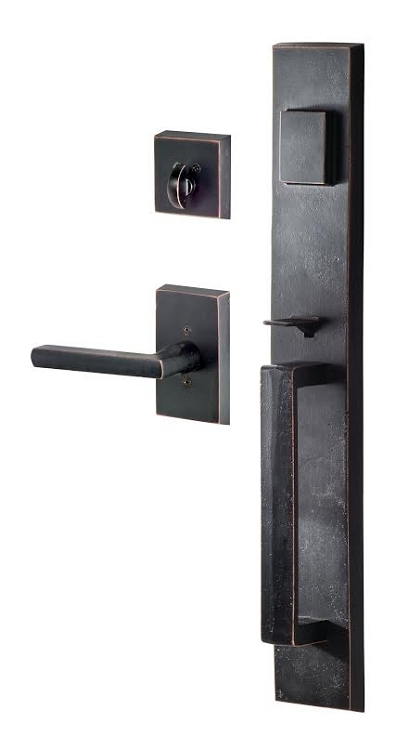 The Sure-loc Vail entry handleset has a simple modern style with rustic finish and is available in single cylinder function, or dummy function. 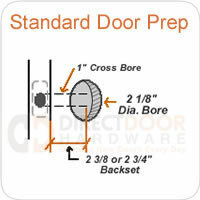 - Standard with Kwikset keyway, Schlage C Keyway available. - Latches are not adjustable, must specify backset when ordering. - Spit Spindle assembly means each side operates independently. This set looks nice but not as rustic looking at the photos show. The quality is not acceptable for an exterior door lock system. I have heavy exterior doors and the strike bent with the first shut and does not grab to latch. What is the height and width of the large handle? Overall height on the handle is 18 3/8 and width is 2 1/2"
SKU:VL507-LNpart# / VL507-LN-11P Can this be customized the be a double point entry where the handle also locks? 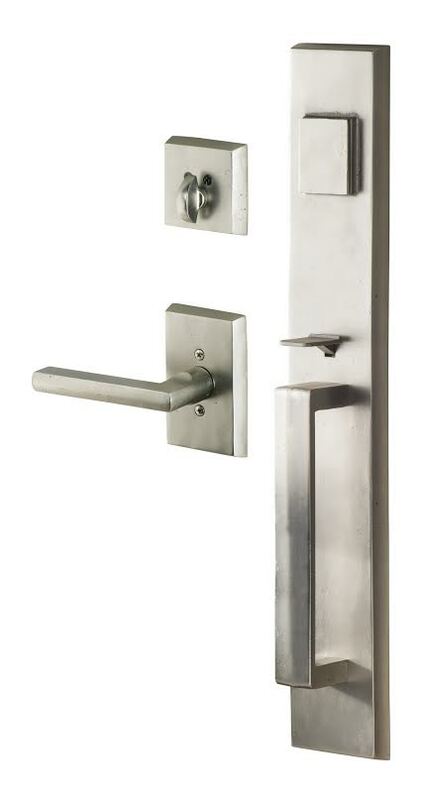 What does the outside hardware look like with the keyhole? Is the keyhole located in the square piece at the top? What is the height of the exterior handle and lock set?